The Naselle River Salmon Restoration project brings together more than fifty landowners and citizens to improve salmon habitat in an important section of the Naselle River. The area being addressed is lacking in functional riparian corridors, has eroding banks, is disconnected from the floodplain, and lacks the structures necessary for the natural formation of features like pools, riffles, and glide habitats. 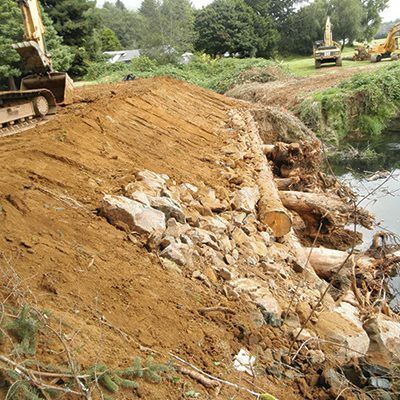 This project, a partnership with the Pacific Conservation District, will provide engineering recommendations and designs to improve fish habitat for five salmon species in all life cycles. The design phase will ultimately lead to projects that will restore essential habitat processes in this stream reach.